A simple, but relatively fun and engaging maths app, ideal for students being introduced to addition. The app has a nice clear layout and the design is fresh and uncomplicated. The landing page has buttons for two game play options, one is with numbers from 1-20 and the other is with numbers from 1-81. You are presented with columns and rows of numbers, essentially like an enlarged telephone keypad. 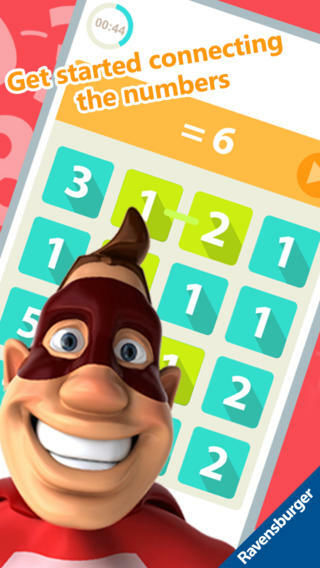 At the top of the screen you are given a target number and the aim of the game is to swipe combinations of number on the ‘telephone keypad’ that add up to the target number. As mentioned, for the first game the target number is between 1-20 and for the for the second game the target number is between 1-81. 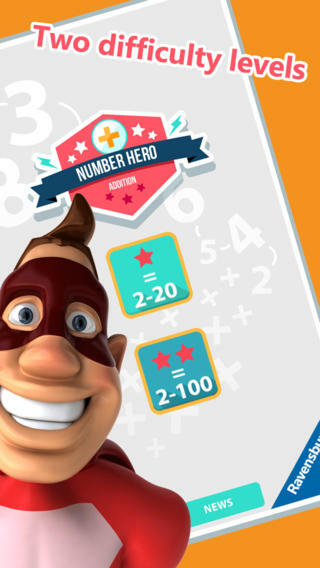 You get points for every correct combination of numbers that you swipe, and the more numbers you use to achieve the answer, the more points you get. The lower target numbers are fairly basic and will work well with younger children, but when the numbers start getting bigger, things can get quite challenging. There is a timer at the top of the screen giving you 95 seconds to get as many correct answers as possible and your high scores are recorded, which is a nice touch. Although simple, the game has quite an addictive characteristic, and I can see children wanting to use the app more than once. One thing that confused us, is that there is an option to turn off the sound, but whether it’s on or off, there doesn’t seem to be any sound effects. Another criticism of the app is the in-app advertising. There is a button on the homepage saying ‘More Games’, which has a basic parental control feature in the form of a two finger swipe. This is fine, however, there is also a tab saying ‘News’ and this button also clicks through to a list of other games by Ravensburger. We feel this is misleading, as this section is not actually news at all, but just another set of advertising for the developers apps. Improvements could be made to the variability of the game play, but it has to be said that some the charm is in the simplicity. 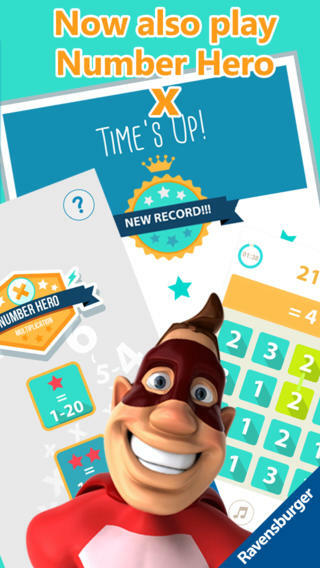 Overall we’d recommend the app at £1.49 as an easy way to develop the concepts of addition. Maths? Numbers? Addition? Boring? Not with Number Hero! 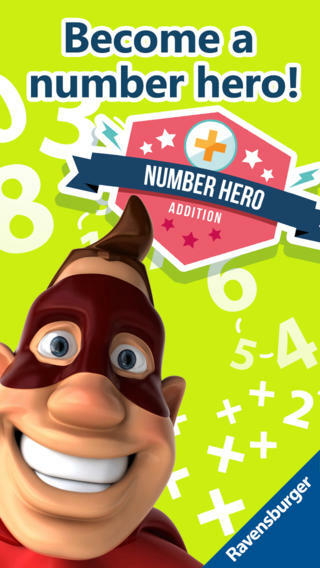 Number Hero is an exciting mathematical puzzle for all who love numbers games. This is how it works: You see an answer displayed. Now connect the numbers until you have reached the correct answer. You can become the Number Hero in two exciting game modes. In Mode 1, you only get answers up to 20. In Mode 2, the answers can go up to 100. - Mode 1: No answer is above 20. - Mode 2: No answer is above 100. - You can skip tasks. 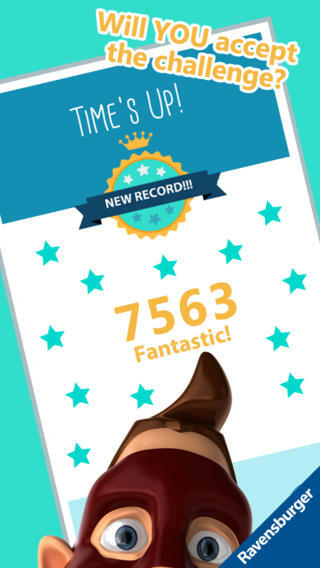 Improve with every game and surpass your own high score.